Thassos, Property For Sale On The Island. Since the induction of Greece to the European Union, Property values in Greece have been increasing at a fast pace. The most effected are the properties on the Islands as well as properties located on the mainland in coastal areas. Thassos is no exception. 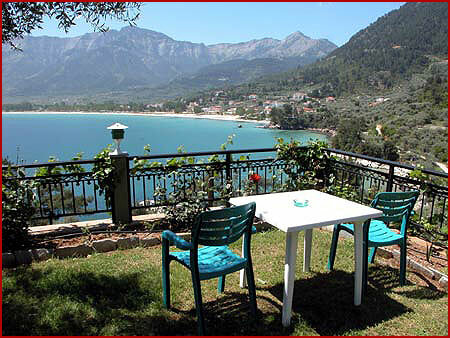 There is no better time than the present to purchase property on the Island of Thassos. Real Estate is and always has been a sound investment. The prices for homes and land continue to rise at a fast pace as more and more people from Northern Europe build their summer homes, retirement homes, business establishments such as hotels, apartments and more. Thassos has become an investment opportunity for young and old as well as professional developers. What's available on Thassos? Most any thing you would want. 2. New and pre-owned homes for sale. 3. Old Homes to Be Renovated. 4. Land for development or building your dream home. If you have been considering Thassos for your future, then now is the time to buy. This issue (Issue 30) includes articles about Thassos. This issue (Issue 28) includes articles about Thassos.